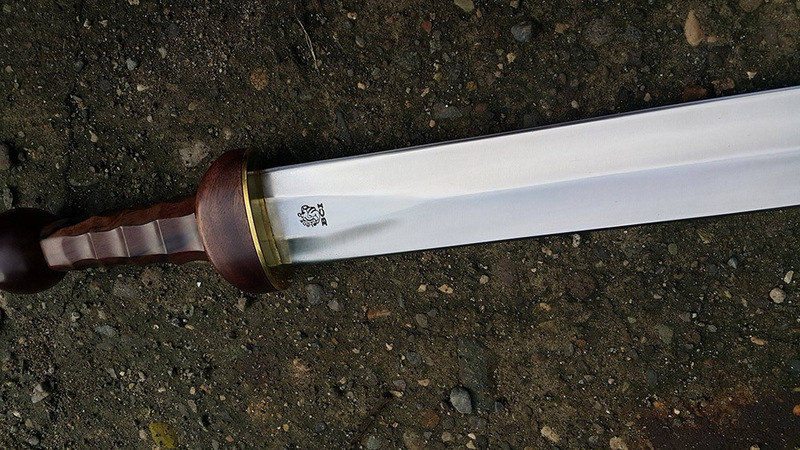 5160 Spring Steel Gladius with ornate wooden scabbard with brass reinforcements. A powerful cutter and devastatingly effective in the thrust. The Roman Gladius was the sword that conquered the known world, and this exceptionally detailed fully functional replica is so well made and strong that if the Romans had owned THESE swords, their Empire may never have fallen.. 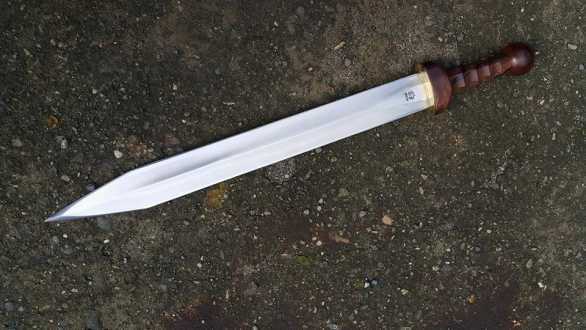 The BCI version is made from the highest quality natural materials, with a modern monotempered 5160 Spring Steel blade many times stronger and more effective than the originals that were actually used in battle. 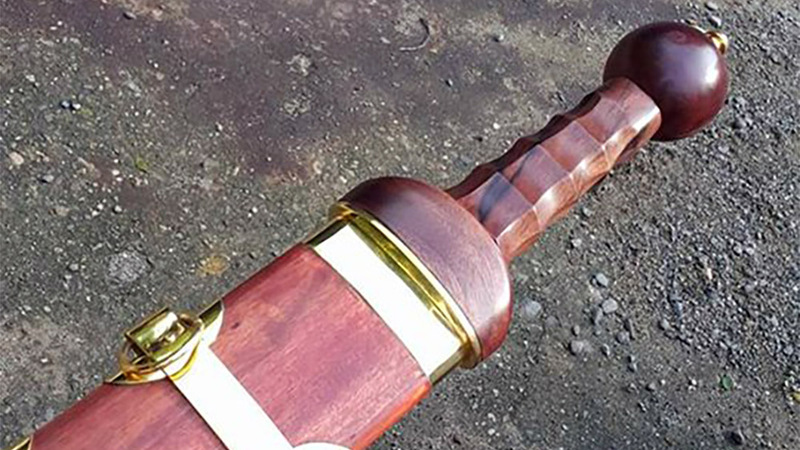 The handle is made from three pieces of the highest quality wood with an ergonomic grip and pommel designed to ensure that the sword will never accidentally fly from the hand in the heat of combat. It is complimented by a beautiful and traditional wooden scabbard, reinforced with brass chape, side rings and fittings. 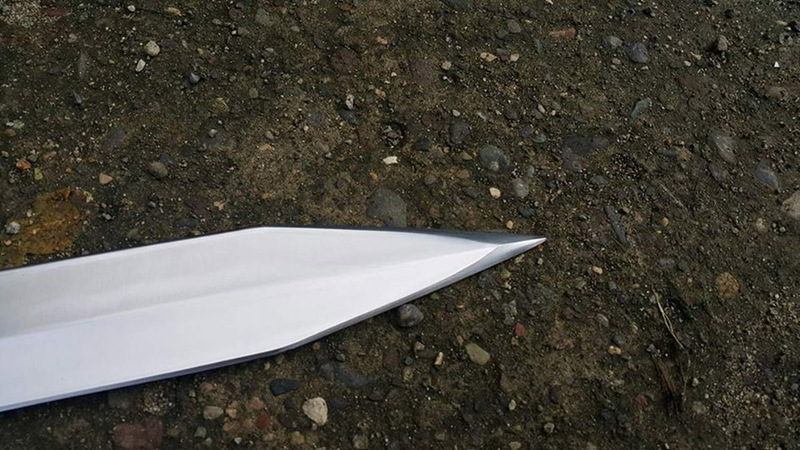 5160 Spring Steel Sharpened Blade. 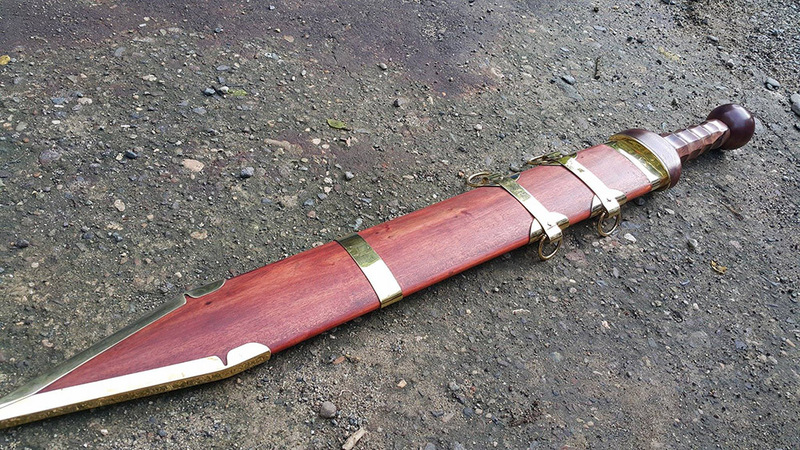 Kamagong Wood Handle and Mahogany Scabbard with brass reinforcements. Threaded handle construction. Premium Quality Construction.